New CDC statistics price being obese as more costly when it comes to health care and health insurance. Diabetes, which is often a result of obesity, costs as much as $6,600 per person more per year. The director of the CDC, Dr. Thomas Frieden, told USA Today that obesity is an epidemic that costs $1,400 more per person per year to treat than treating a normal-weight person. Patients teetering on the edge of obesity are encouraged to seek early health insurance coverage, rather than waiting until the final days of the implementation of the Affordable Care Act when everyone will have to have coverage. Investing in health insurance coverage now helps patients to protect their assets, in case they need care due to their obesity status. 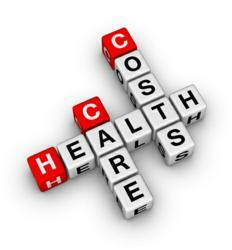 Patients are encouraged to seek free health insurance quotes at HealthCompare.com.